Twibble free download for Symbian s60 3rd and 5th edition. 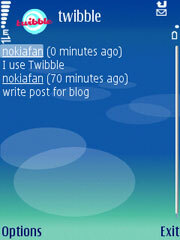 Twibble mobile is a twitter client for the Java enabled Symbian smartphones. 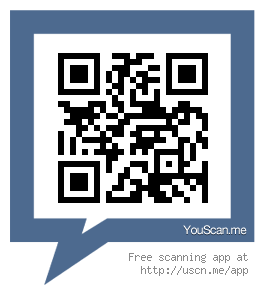 * post messages via your mobile network (WiFi, UMTS, GPRS), or using text messages (SMS). * auto refresh: twibble can retrieve tweets automatically after a given time period. * integrated timeline: Tweets and direct messages are displayed in a single list sorted by date. There is no need to retrieve tweets and direct messages separatly, or to switch between various lists. * re-tweet (forward) of tweets.With a few clicks you can re-send a tweet you received without re-typing. * mark tweets as favourites: Useful on the road when you want to mark a tweet for later reading. In addtion twibble mobile can add your position to a tweet (but only if you want!). It can even make use of the built-in GPS of the N95 or other GPS phones. The position can be displayed on the mobile device and on the desktop in Google maps or Google Earth, e.g. via the twibble API or twibble desktop. Hi guys. I rlly luv ths software. can u upload photos with this?